Located in Stockport, near Wigan, Dace Motor Company Ltd is a specialist supplier of high-quality used cars. We offer an extensive range of vehicles from many of the most successful manufacturers in the country, including Mazda. A particularly successful model from this brand is the Mazda 3. For a car that is not too strenuous on your wallet yet offers an excellent ride, Mazda is absolutely a brand to consider. In fact, one of the best vehicles available for handling is the MX-5 and the CX-5 sports utility vehicle has been praised for excellent durability. 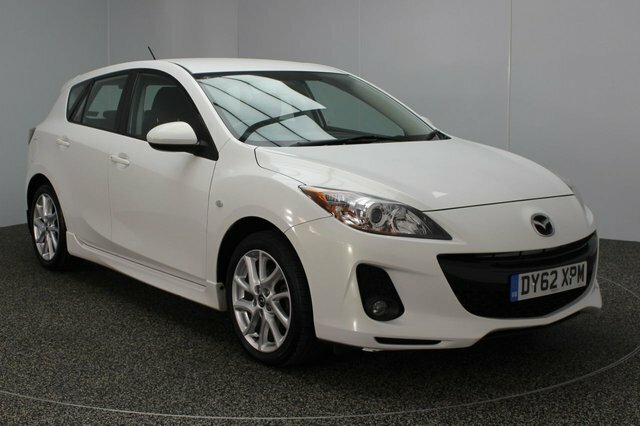 Discover our current range of second-hand Mazda 3 cars now! To get to our forecourt from Wigan, you will have to join the M60, via either the M61 or the M6. Exit at Junction 27 to find our site and your new car!